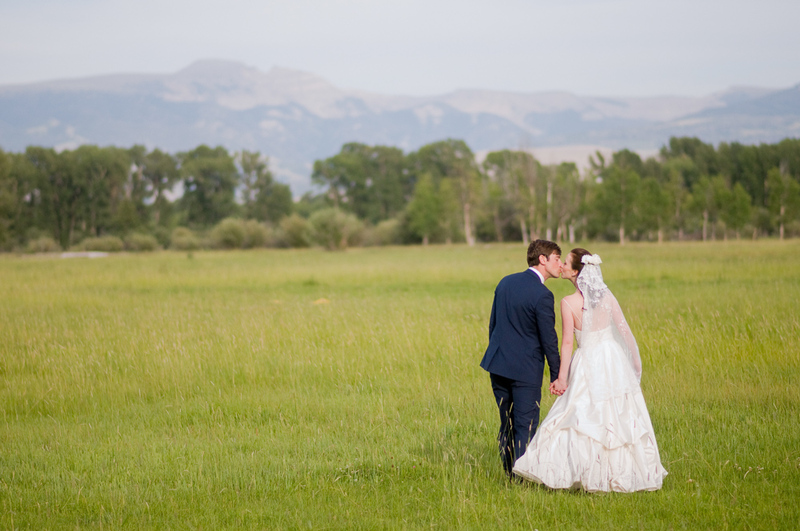 It’s not very often I get to work a wedding at one of the most private, secluded, homesteaded ranches in Jackson. 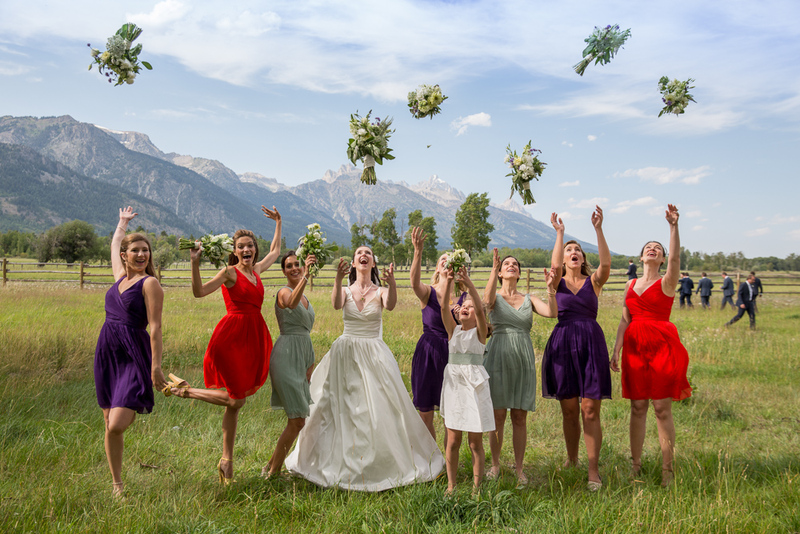 But when the opportunity came to work with Corinne and Jon on their wedding at Lake Creek Ranch near Teton Village, I was very excited! I knew as soon as I spoke with Corinne that she was going to be a blast to work with. Little did I know that her family would be just as fun, funny and easy to work! 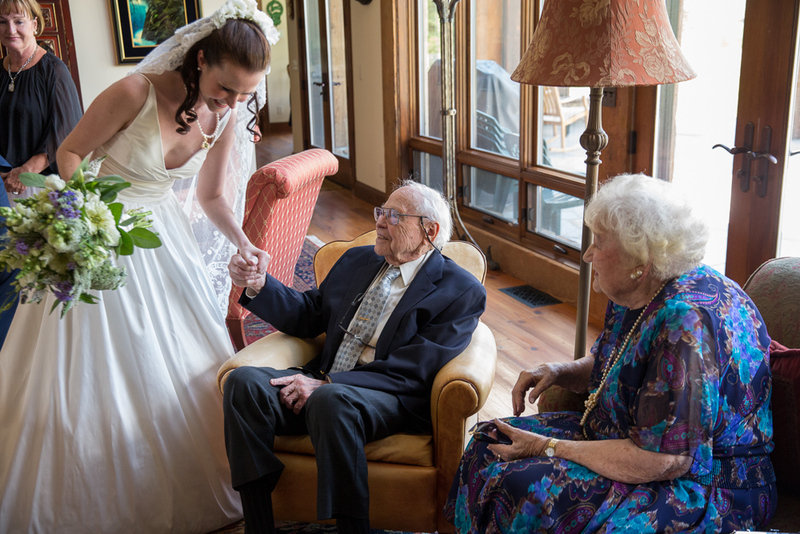 Getting married on her grandparents ranch was something Corinne had always dreamed about. 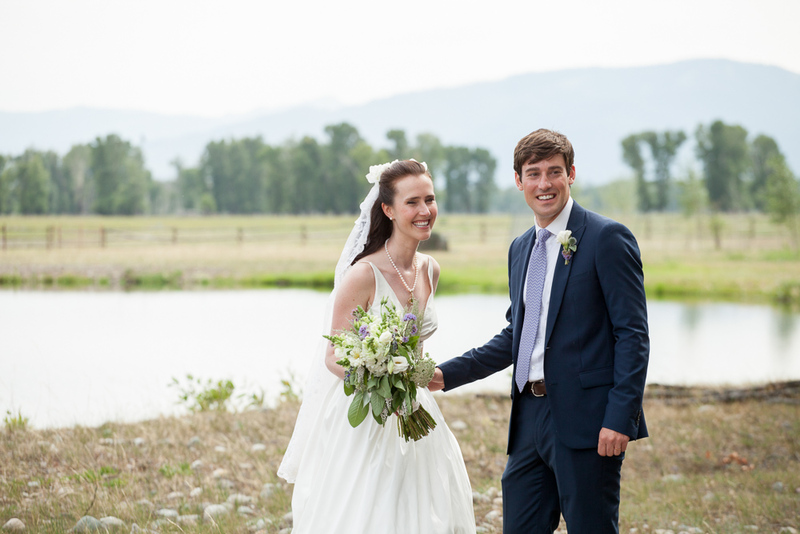 Turning a working ranch in to a sophisticated, elegant wedding venue is not an easy task but between her, her dad and the ranch manager, the dusty cow field was leveled and make to look like a wedding venue. Check off that box. 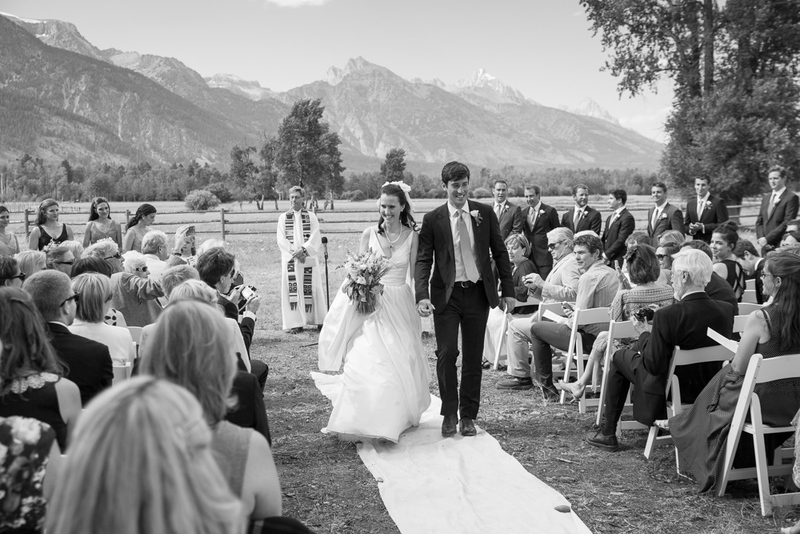 Now we have to make the tent fit perfectly in between 2 very pretty trees that frame the Tetons, keep the moles from digging holes in the dirt, and find the most ideal spot for the ceremony so that guests (and bride and groom) are not getting blasted by the hot afternoon sun. No problem right? Right!! It came together beautifully. 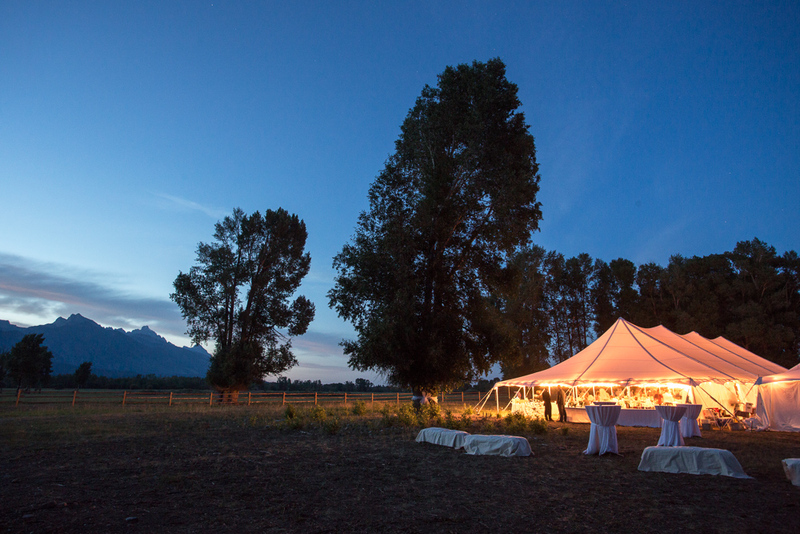 The tent framed the most gorgeous view of the Tetons, we refilled the mole holes with dirt right before the guests arrived, and when it came time for the ceremony to start, the sun was positioned perfectly behind the trees to give the guests a respite from the summer sun. We honestly could not have planned it any better. Now let the party begin! 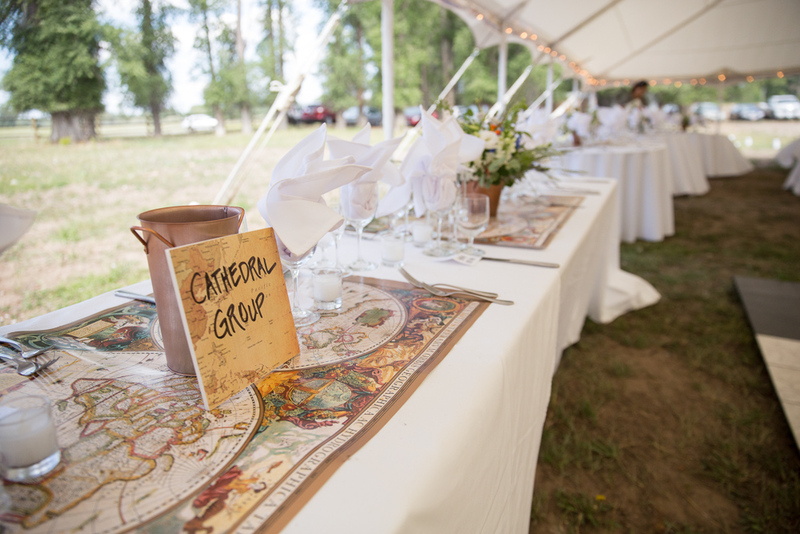 After the ceremony, guests were invited to the tent for cocktails and appetizers. 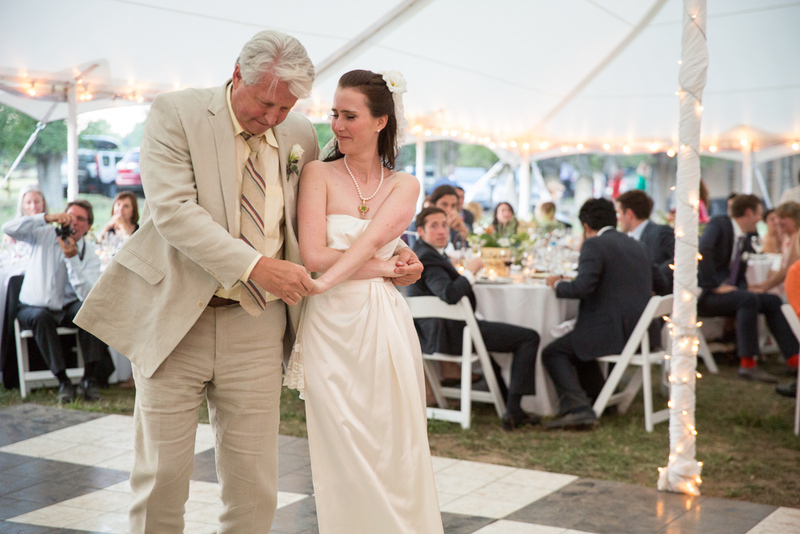 The tent was decorated with beautiful wildflowers and had a feel that was young, modern, worldly and chic. 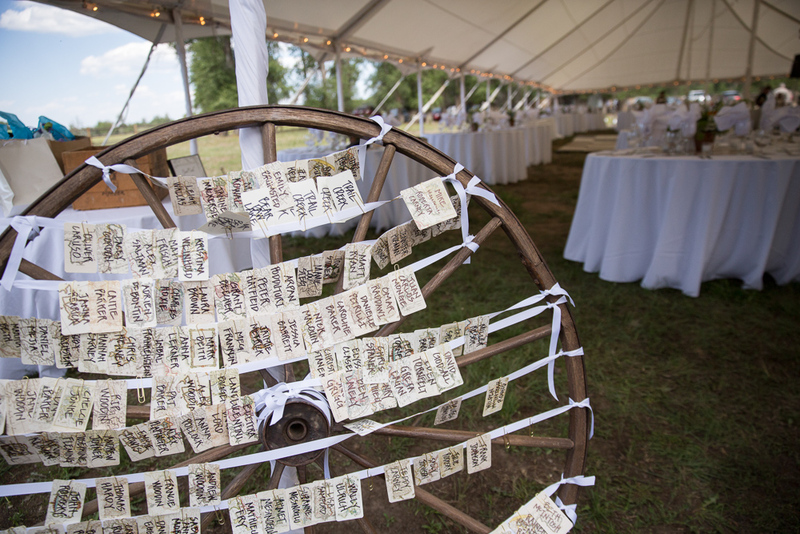 The tables had maps as centerpieces to signify all the travel the couple has done together. 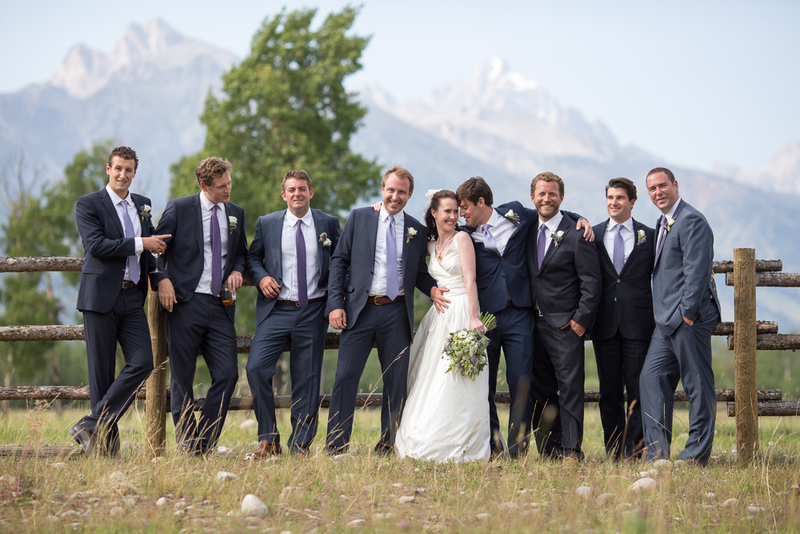 Once guests got some food and a drink, people walked around taking pictures on a nearby buckrail fence with the Tetons in the background. It looked like a scene from a famous western movie. Then came the toasts which were very personal and heartfelt and ended with Jon inviting Corinne to the dance floor for their first dance as husband and wife. Now it was party time. 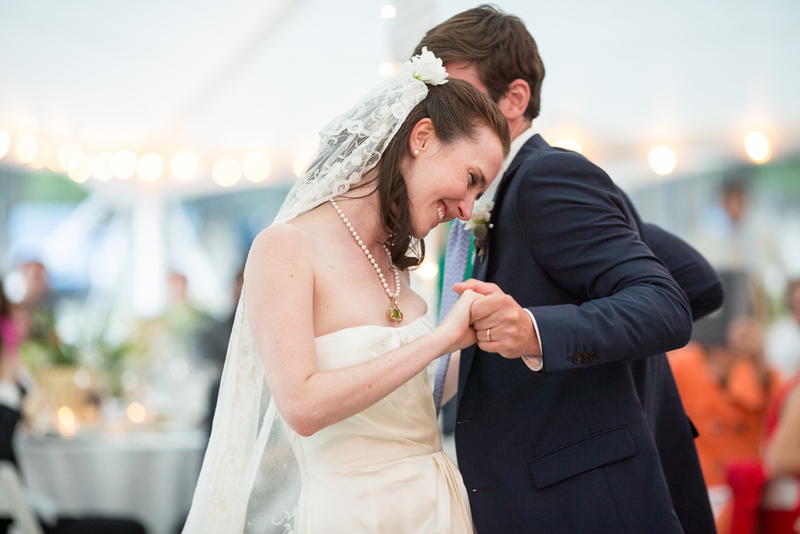 The music picked up and the guests took to the dance floor and the party continued well in to the night. What is a party without dessert you say? 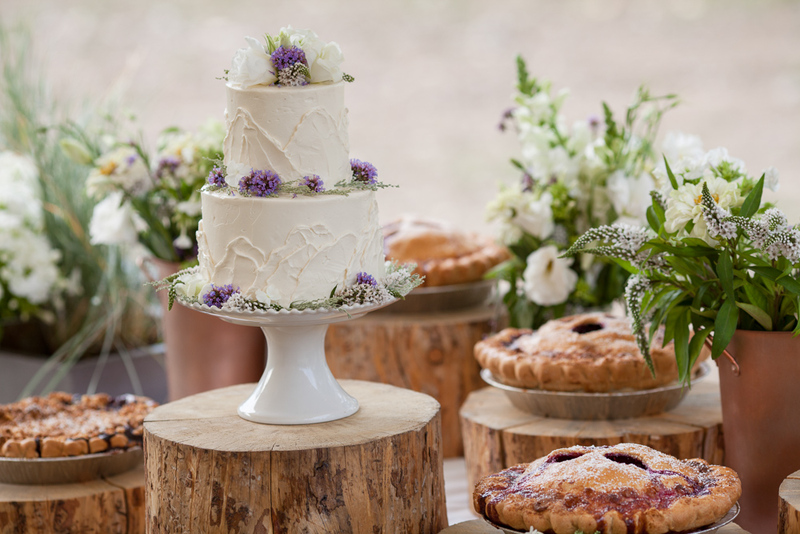 Well, to keep guests going, Corinne and Jon had a myriad of pies and coffee to offer everyone and they were a huge hit! The DJ’s took over for the band around 10pm and the celebration continued. Congratulations to Corinne and Jon!! 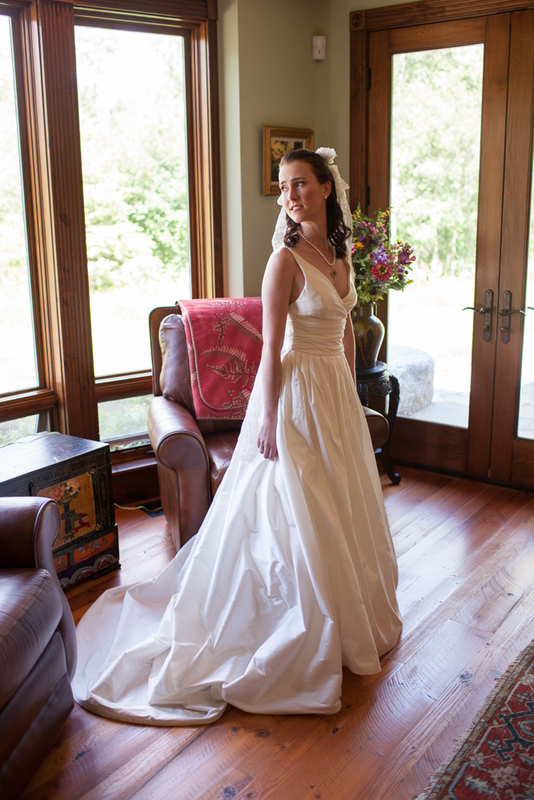 Thank you for letting us to be part of your big day!